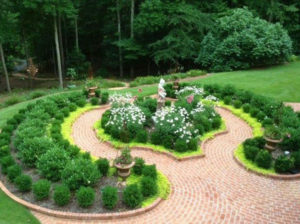 Scapes is an award winning landscape firm based in Roswell Georgia that has been serving Atlanta and the Southeast for over three decades. We offer services ranging from Landscape Architecture and Design/Build Construction, to Landscape Maintenance and Lawn Care Services. Residentially, Scapes specializes in creating outdoor living environments that are designed to bring families and friends together to enjoy life at home. Scapes designs and builds just about anything outdoors. This Includes, Patios, Decks, Pools, Cabanas, Outdoor kitchens and elaborate gardens. Our award winning team of landscape architects, construction managers and experienced craftsmen are all focused on delivering the highest level of quality and professionalism throughout the process. We also team up with professional artisans and supplier partners to manage outdoor lighting, carpentry, and even garden furnishings and accessories. In the commercial sector, Scapes can aid in helping an owner, asset manager or property manager understand the full potential of their property. We can design and layout a plan to renovate a tired property or better show the attributes of a new one in order to increase the value of the property. In both arenas, Scapes also has a plan for putting together a Landscape Maintenance package to help you manage your investment for years to come. This can be an elaborate plan to cultivate and maintain an amazing garden, or just simply, maintain the most basic aspects of the care of your landscape. Scapes will partner with you to provide the level of service you require. Scapes has built a reputation for providing the most innovative and highest quality landscape services while guaranteeing the highest value. Our goal on every job is to leave our clients Amazed! The team at Scapes is as good as it gets. It is comprised of many fine professionals including landscape architects, designers, construction project managers, irrigation specialist, masons and skilled installation and maintenance crews. 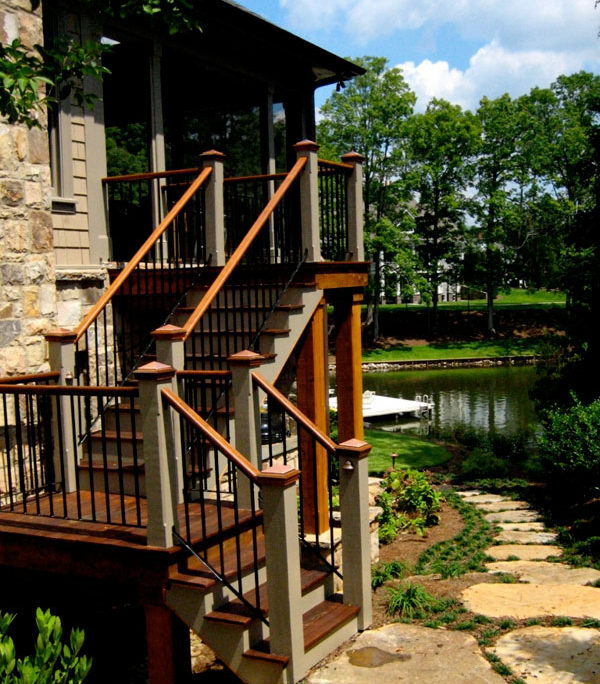 Our team is well-seasoned and qualified to deliver the best in Outdoor Living. Because of our years of experience and our excellent reputation, Scapes has been able to attract and retain some of the brightest landscape talent in the industry. Continuing education and a commitment to excellence and safety guarantees that each person on our team continues to grow, succeed and successfully serve our clients. We strive to make Scapes a career destination for all of our employees. The management team at Scapes has seen the company through some of its greatest successes in its history. Scapes is headed up by partners, Evan Rogers, Pete Wilkerson and Matt Miscio. Pete Wilkerson is a registered landscape architect with a degree in Landscape Architecture from Mississippi State University. 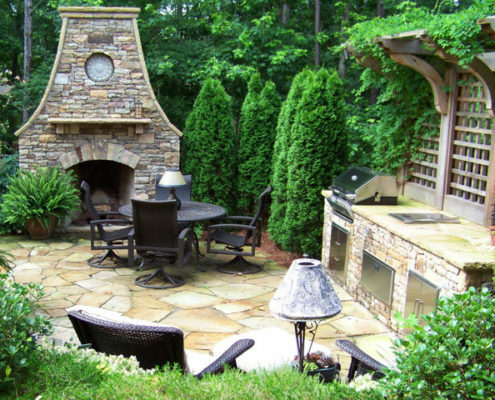 Pete, in the landscape design/build business since 1985, has focused his efforts and expertise on both commercial and residential landscape renovations. Pete utilizes his vast experience to help communicate both his vision and integrity to every project with which he is involved. 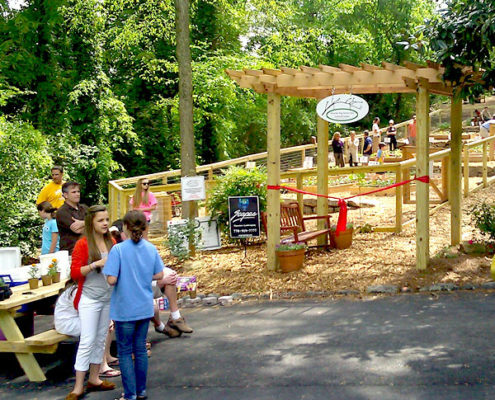 Evan Rogers, a graduate of The University of Georgia’s Landscape Architecture program, has concentrated on the residential sector of the business since day one. From both the design and construction perspectives, he has been a key member of some of the most elaborate landscapes in the history of the company. He is involved in every aspect of his projects on a daily basis and lends his expertise to even the smallest of details. Both Evan and Pete have been involved with Scapes since 1995 from both a management role, as well as day to day involvement with the projects, clients, and the team at Scapes. The partners asked Matt Miscio to become a partner in 2010. Matt has been with the company since 2004 as the Operations Manager and has continually proven his depth of understanding of the landscape business. A graduate from Villanova University with a degree in Business Administration, Matt concentrates on the logistics, safety, and efficiency of our entire operations team. Also two major parts of the Scapes team are Danny Holt and Jud Griggs. Danny is responsible for design and project management and concentrates on residential projects of all shapes and sizes. He has been a key member of the Scapes team since 1997. He enjoys sharing his knowledge and talents with his clients and it shows in his projects. Danny holds a degree in Landscapes Architecture from Mississippi State University. Scapes was very excited to have Jud Griggs join the team in 2015. Jud is a graduate of University of Wisconsin with a degree in landscape architecture and horticulture. He brings his vast amount of knowledge and industry experience to the team. Over the years, Jud has worked with some of the premier Design/Build companies in the country. He was also the President of ALCA (Now NALP). Driving our computer design team is Jeff Wujcik. Jeff is a University of Georgia graduate in Landscape Architecture and joined the team in January of 2016. We are excited as he brings a fresh view of the latest design theories from the academic world but also the latest technology to assist in the landscape architecture design process. Without many preconceived ideas of the industry, his youthful exuberance brings a unique perspective to our projects. The partners as well as the entire team are also very involved in the ongoing growth of Scapes through Scapes Maintenance Services. The head of our Residential client care team is Tammy McDowell. Tammy brings years of experience in the care of gardens. Her passion for pleasing clients sets the tone for the high level of service the entire maintenance team provides. Her knowledge and experience in proper pruning techniques sets Scapes landscapes apart from others. Additionally, Zach Loveless and Kathy Irish joined our team in 2018. Zach will concentrate on maintenance management and operations and Kathy will be one of our client care representatives. Both are a great additions to the team due to their horticultural knowledge and their willingness to please clients. The team at Scapes possesses an extensive and proven knowledge of landscape. This knowledge ensures the greatest of success for the gardens that Scapes builds and for all of our maintenance clientele. Scapes has always been focused on stewardship. Over the years we have been involved in many community projects and initiatives and have been major supporters of charities that benefit those who are in great need.